Fly fishing with nymphs can be intimidating at times, but you’ve got your flies ready, so let’s discuss this fly fishing technique in more detail. What are the best ways to attach them for successful fly fishing? In this post we are going to focus on stillwater flyfishing, because here is where the most variation can be achieved for different days, different waters and different weather conditions (eg windy days). In this situation, it is probably best to fish without any strike indicator, unless your eyesight is not as good as it used to be… Watch for the slightest movement in the line tip. 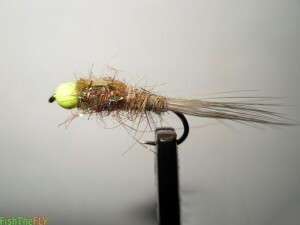 If you need to use an indicator the best choice is to attach a dry fly to the leader at a position allowing the nymph to sink to the desired depth. To estimate the length of leader to fish a nymph at a chosen depth multiply the depth by 1.5. 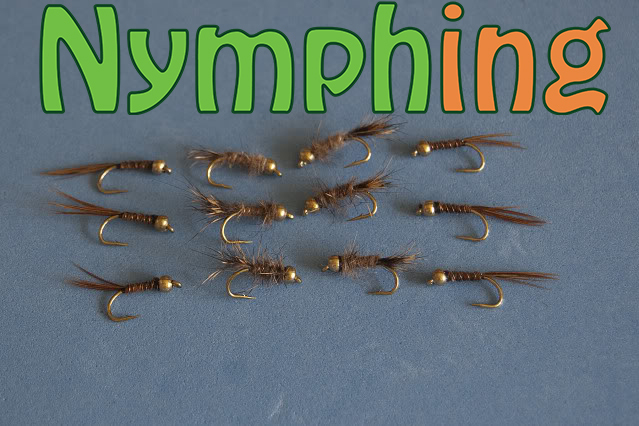 Use between 1 and 3 nymphs (Depending upon the rules of the water being fished)… The heaviest nymph should be on the point with lighter flies being tied at interval between the point and dry fly indicator. On these days, especially if a cross wind is blowing, it will need a weighted fly to get down to any reasonable fishing depth. Most modern flies are weighted using brass or glass beads tied into the fly or by threading a bead onto the leader so that it slides down to the point fly. You may well need a strike indicator in these conditions and there are numerous types available… The best (As mentioned) is a large dry fly such as a hopper with a foam body. 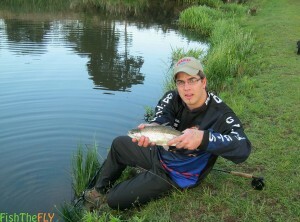 The point is that the dry fly indicator must float very well. Hoppers, and large DDD‘s are great for this application. 1. The New Zealand method: Use a clinch knot to attach a section of leader to the topmost fly then tie the next fly onto the curved bend of the hook using a length of suitable leader. Repeat this until you tie on the point fly. Using this method the flies fish in tandem and perhaps there is a slight loss in hooking power. 2. The next method is similar to the above except instead of using the bend of the hook to attach the leader section tie the leader into the eye of the corresponding fly. 3. The use of droppers… The advantage is taken here of joining 2 lengths of leader together. I use a water knot for this purpose and have never experienced problems. Many sources suggest the use of a double blood knot. Once the 2 lengths of leader have been attached leave a length of about 6 inches protruding from the knot. Let this be of the stronger of the two leader breaking strains used in tying the knot. Attach the fly such that the dropper is about 4 inches long. Longer than this will tend to produce tangles. Repeat the process for each dropper fly. What Are The Best Nymphs To Use When Nymphing? 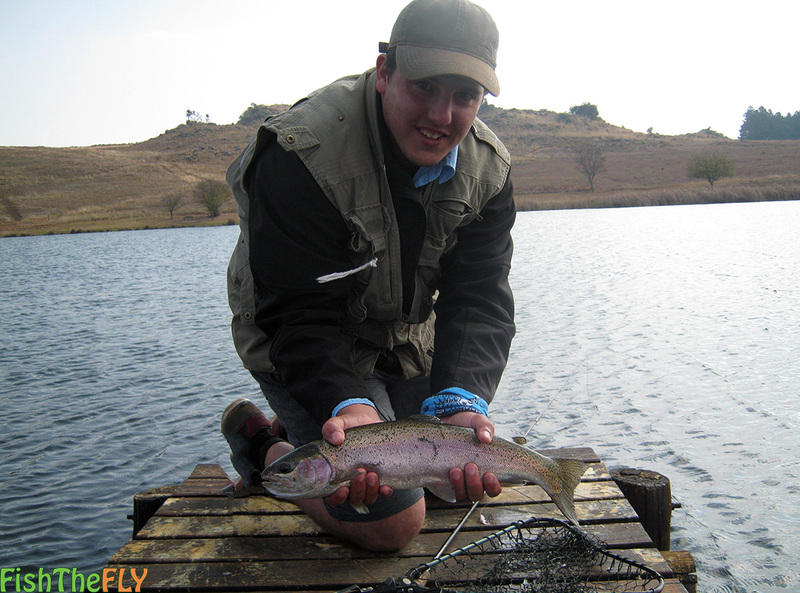 We hope this article helps you catch more fish on stillwaters when nymphing! Tight lines!